Before it became known as the ‘the black’s town’ and the name ‘Black-Town’, this area was traditionally known by the local Darug clans as Boongarrumbee, possibly named after an Elder from long ago. The local surrounds were once lush grasslands crisscrossed by many creeks, and rivers were once a place of plenty. Before the destruction that came with development, many engravings were found on rocks along the main creeks and rivers. Large tall trees with easy walking paths in between have been described by early colonizers. Site of the first ‘stolen generation’, the Native Institution was set up with the aim of ‘taming of the blacks’. The Institute and the Black’s Town is part of my family’s story on my mother’s side. A dark secret for a long time, the truth finally emerged for my family in 1984 upon researching my mother’s family tree. My great-great-great grandmother Maria Lock was the first enrolment at the Institute, when it was originally established in Parramatta on the 18th January 1815. It was later relocated along Richmond Road at Black Town in 1823, to land adjoining the new Aboriginal land grants awarded to Darug men Colebee and Nurragingy. Maria’s father Yarramundi was a a Boorooberongal Elder and Koradji from the Hawkesbury area. He is believed to have given her over to Governor Macquarie at the first feast day held out the front of St John’s Church Parramatta. She was around 8 years of age at the time and was taken away to be ‘civilised’. 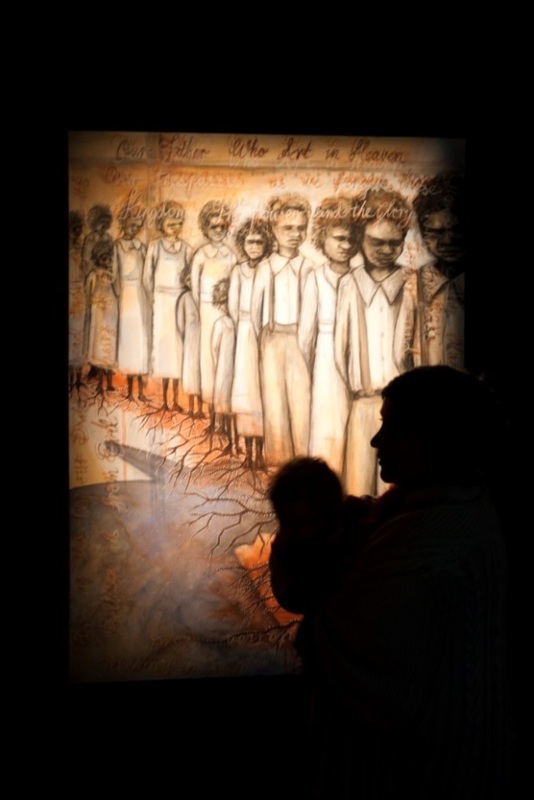 She was only able to see her family at the annual feast day, an event constructed by Governor Macquarie to act as a form of census, using the distribution of blankets and rations but also as recruitment for the newly established Institute. The Parramatta Institution opened on 18 January 1815 with four pupils initially, but that figure grew after children were captured during punitive expeditions aimed at quelling the growing conflict between settlers and the local Darug who were being dispossessed of their yam farming lands along the Hawkesbury. This is part one of three posts Leanne has written for our blog. Stay tuned for the next instalment.